How to Sell Your Broken or Used Laptop for Cash? There is nothing worse than a broken laptop. For some people, it’s like a nightmare come true. But, you cannot just sit and cry over your broken laptop. You’ll either have to buy a new gadget or fix your broken laptop. But, have you ever thought of selling broken laptops? Of course Not! People often think it’s easy to Sell Old Laptops, but selling a broken laptop is not an option because no one is willing to waste their money on a broken gadget. Well, that’s true to some extent until you don’t know the right platform to sell broken laptop. Here, we’ll talk about how you can sell broken, used laptop at the best price. But, before that let’s have a look at other options for a broken laptop. When your laptop is broken, you might think of replacing its parts and fix it to the previous condition. But, ordering original parts for the laptop will be costlier than you think. And if the condition is worse, it can cost you more than the price of a new gadget. Even if you fix your laptop by replacing its parts, it will never be the same. Also, we don’t recommend replacing parts of your computer on your own; you might end up damaging other parts or its data. You need to contact a laptop repair company which will charge a service fee to replace gadget parts and fix your laptop. So, the overall process will be expensive as well as time-consuming. According to us, you should avoid the hassle of repairing your broken laptop and Sell Laptop for Cash. If you’re at the stage where your laptop cannot be repaired, then selling it is the right decision. Yes, you can easily sell broken laptop at a good price. 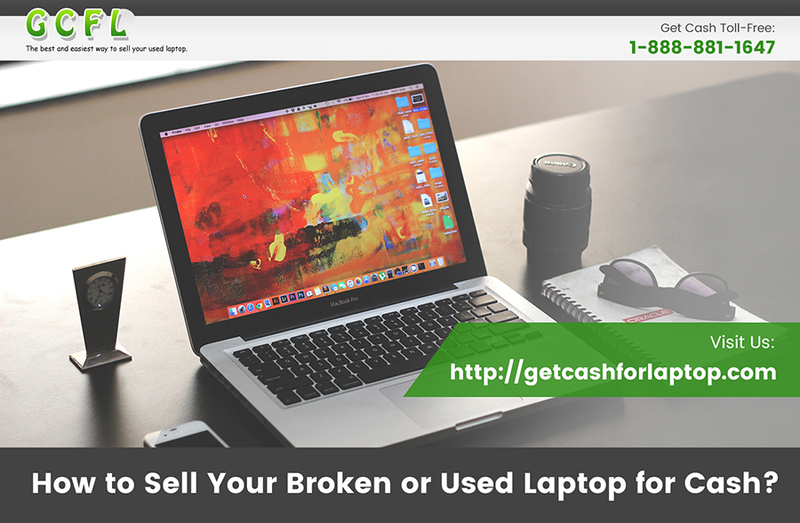 GetCashforLaptop offers an excellent price for broken laptops; you can sell broken, used laptop of any brand, such as Lenovo, Acer, MacBook, HP, Dell, Samsung, etc. GetCashForLaptop is not affiliated with the manufacturers of the items available for trade-in.